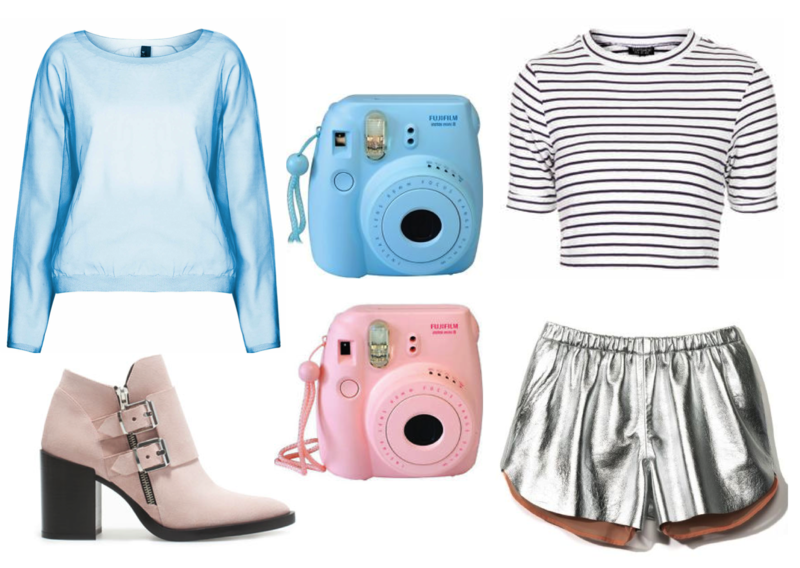 These are just a few pieces I'm lusting after at the moment, the fujifilm instant polaroid cameras in particular - I've been really enjoying playing with my camera recently and these just look so cute. I remember having a polaroid camera when I was about 5 and we still have some of the first photos I took on it (n'aww). I love that the instant print and fairly expensive film will make me think more carefully about the photos I'm taking, but that I'd also get some cute candid shots that haven't been edited or taken with the luxuries of a front-facing camera, the perfect lighting and the 27 practice attempts it can take to get a selfie right. I first saw them in Urban Outfitters for around £100 but recently discovered them on eBay for as low as £60 including film! What're you lusting after at the moment? I've wanting one of those Polaroid cameras too!! Good to know it's much cheaper on ebay! and the fujifilm cameras are the cutest, my friend has one and the photographs are just so lovely! need to get my hands on one really! i have a new post up on my blog, i'd love it if you had look! I've just got my hands on one of those instax minis, it's a slightly older model thought I think! Just got to buy some film now...I wish I had one of the cute colourful ones though, mine's just plain grey! I LOVE the striped top! !